Prominent & Leading Retailer from New Delhi, we offer glitter spray, finishing touch hydration and protection spray and flower colour spray. Colour sparkling micro-glitter in a clear finish. It instantly colors any flower without concealing the blossom’s delicate features. Fresh, silk and dried flowers become infused with a natural impression of color. Acid free, Fast drying colour, delicate enough for use on fresh flowers, yet sturdy enough for colouring all sorts of surfaces. Maximize the natural freshness of fresh cut flower bouquets, floral designs, and evergreens. Finishing Touch hydration and protection spray refreshes, hydrates, and protects with a simple and fast last step measure of insurance before any arrangement goes out a florist’s door. A simple fine mist spray is all it takes to maximize customer satisfaction and extend the enjoyment of receiving flowers. 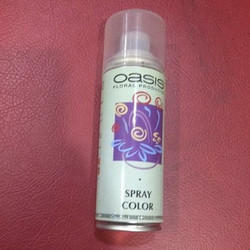 Shake product spray bottle well before and during use. Do not dilute the ready to use product. 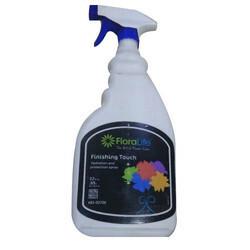 Spray a fine and even mist application from the trigger nozzle onto fresh cut flowers, foliage, evergreens, or potted plants for desired effect. Allow the Finishing Touch spray to dry before delivery of the arrangement or storage.